Visit Barton-Upon-Humber Lincolnshire and the surrounding villages and stay in b and b, hotel or holiday cottage accommodation provided by BedPosts members. Barton-upon-Humber. The name “Barton” is a common English town name which derives from Old English “bere-tun” for “barley farm, or an outlying grange where corn is stored”. Barton-upon-Humber was mentioned in the Domesday book as “Bertone” in 1086. Barton-upon-Humber is a lovely market town with easy access across the Humber Bridge to the city of Hull. 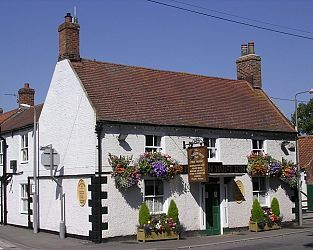 If you seek accommodation near Barton-Upon-Humber in Lincolnshire you have come to the website of a “club” of providers who offer affordable quality accommodation around UK in hotels, bed and breakfasts, guesthouses, inns, and restaurants plus self-catering cottages and apartments .